Steve is a Licensed Marriage and Family Therapist at Christian Counseling Centers in San Mateo and has a Master of Arts degree in Marriage and Family Therapy from Western Seminary. Since 2002, he has been a counselor in the Biblical Counseling Ministry at Central Peninsula Church in Foster City, CA where he is also on staff as the Director of Care Ministries. In this position Steve has oversight responsibilities for the Marriage Enrichment, Mercy, Biblical Counseling and Recovery Ministries. 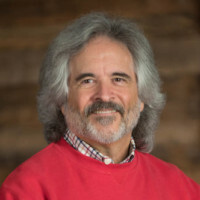 The focus of his clinical work includes couples counseling where he utilizes the Gottman Method Couples Therapy, and adults struggling with depression, anxiety and mood disorders. An emerging specialty grounded in validation therapy finds Steve focused on supporting those struggling with the mental challenges associated with early stage dementia of the Alzheimer’s type (DAT). His focus is on early stage for the afflicted, and support for the family caregiver and extended family. A devoted Christian, Steve is experienced in integrating psychodynamic principles with biblical truth. He has been married to his wife, Geri, since 2000. They have two enthusiastic Shih-Tzus, Bailey and Bobby.